(L to R): Mr. Prasanna Shirol, Founder Member, Organisation for Rare Diseases India (ORDI), Rare Disease patients Dr Shilpi Bhattacharya and Dr. Rupal Panchal, Dr. Ratna Devi, CEO, Indian Alliance of Patient Group (IAPG), Dr. Vishal Goyal, Drugs for Neglected Diseases initiative – DNDi (DNDi), Leena Meghaney, Legal expert, MSF and Dr. Ranjeet Ajmani (Biomed engg; NIH training), CEO PlasmaGen BioScience Pvt. Ltd after the session on Research in Rare Diseases. Mumbai: Given all the recent changes in the regulatory environment in the recent past and the regulators’ commitment to a creating a favourable clinical research environment in India, there is now a strong need to rebuild global confidence and trust in doing clinical research in India. 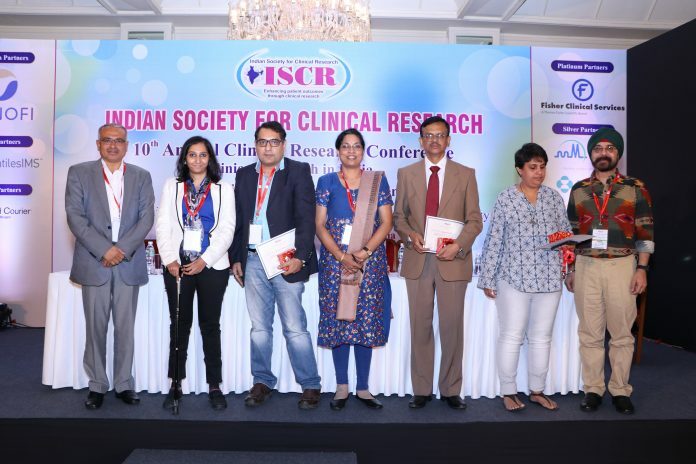 This was the unanimous opinion of industry panelists in the concluding session on Does India Feature in Discussions on Global Clinical Study Placements at the 10th Annual ISCR (Indian Society for Clinical Research) Conference. While on one hand, data of global inspections validates the high quality of clinical research being done in India, the clinical research environment is weighed down by negative perceptions of quality and therefore stakeholders need to take a more proactive approach to quality management, they said. Among the highlights of the concluding day was a panel on Research in Rare Diseases which had not for profit organisations, patients, medical and legal professionals talk about the needs of rare disease patients in India and what needs to be done to ensure access to research and early intervention for rare diseases. “Rare diseases are not so rare. If we were to put together the entire population of rare disease patients in the world, it would be the third most populous country,” said Prasanna Shirol, Founder Member, Organisation for Rare Diseases India. Dr Shilpi Bhattacharya, a patient suffering from GNE Myopathy of which there are an estimated 20,000 patients worldwide, talked of how it took the best of medical experts overseas two years to diagnose her illness. “Even today, given the rarity of rare diseases, medical practitioners are more interested in learning about us as ‘case studies’ than as ‘patients’ which makes it very frustrating for us,” she said. The panelists concluded that fast track research and more clinical trials, working more closely with regulators, sharing of knowledge and ethical pricing needed to be high on the agenda of the rare disease community in India. The panel on Investigator Initiated Research – How Can Investigators Navigate the New Environment for Doing Research in India? addressed the challenges of and solutions to doing more academic research in India. The session highlighted once again the importance of knowledge sharing amongst investigators both on evolving regulations and best practices and the need to ensure a multi-disciplinary approach to investigator-initiated trials through collaboration with industry, global academic institutions, regulators, health economists and policy researchers. 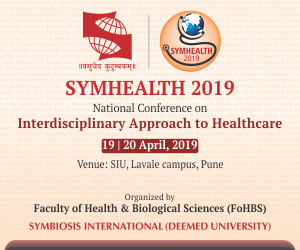 A parallel track was held on medical writing, future directions for medicine and pharma and the various challenges in design, conduct and reporting of clinical data in the country. The final day of the conference also witnessed engaging oral and poster presentations, followed by a prize distribution on these displays. “The fact that so many of you are at this conference – beating the records of all previous years – is reflective of the optimism and hope the year holds for all of us. The media has also played an important role in building awareness about clinical research and I look forward to their continued support at a critical time when we need to empower patients and the public at large with more information about clinical research that can help them take judicious decisions about their health,” concluded Suneela Thatte.